The question has plagued man since the beginning of time, "How can I get more storage in my car, SUV, or truck?" Well, that question has been answered, and answered decisively by Rhino Rack 2500 HD roof rack. Rhino Rack 2500 HD roof racks are designed specifically for your vehicle, meaning you'll get a great fit. Ideal for transporting all kinds of equipment – ladders, lumber, luggage, etc. - you name it, you can probably strap it to a 2500 HD roof rack. Designed to fit gutter-less vehicles using specially molded pads which have been designed to fit the contours of your vehicles roof. The fastening clamps are also custom designed to fit your vehicles door jam. Rhino Rack has thought of everything with these roof racks. You are going to get everything you need to build yourself a sturdy cargo carrying platform. So whether you are looking for a roof rack to haul work supplies or hauling a heavy load of luggage, the 2500 HD roof rack is for you. Get yours today. 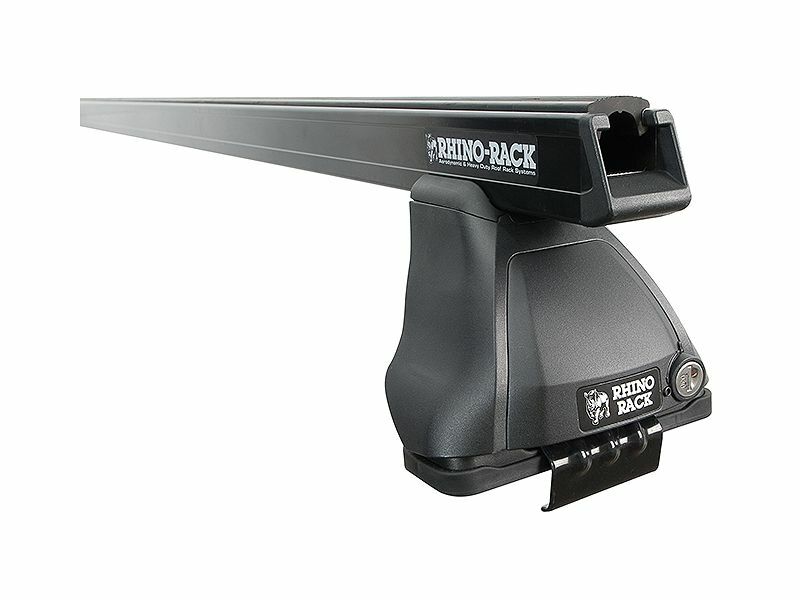 The Rhino Rack 2500 Series roof rack offers an easy no-drill installation. This rack's custom clamps fit into your door jam and fasten the rack to your vehicle. For additional information or if you need additional information, please call us at 1-877-216-5446 or 701-253-5906.